NAGASAKI - For decades, Hiroyasu Tagawa had no intentions of breaking his silence about the terrible experience he had as a child, having lived through the U.S. atomic bombing of his hometown of Nagasaki. A sixth-grader at the time, Tagawa spent years regretting his decision to bring his father — who had suffered severe burns to his feet due to a chemical spill caused by the blast — to a makeshift first aid station. His father’s feet were amputated on Aug. 15, the day Japan announced its surrender. His cries of pain during the amputation were the first expressions of raw emotion by a man who, until then, had silently endured the pain. He died a few days later. His father’s anguish haunted Tagawa in the following years. “Had I done the best I could for him?” Tagawa recalled asking himself repeatedly. Tagawa was reunited at the age of 77 with the nurse who was present during his father’s surgery, gradually leading him to break his silence about the haunting experience. The nurse explained that his father cried out in pain because of a spinal anesthetic injection and that the doctor had to use the saw because no other surgical tools were available. Tagawa’s story is now among the many previously told by Nagasaki hibakusha. His tale is recounted in a kamishibai (picture story show) — a form of storytelling popular with children before the emergence of television — that has been digitized and uploaded to YouTube to reach a wider audience. Titled “That Day, August 9th, and the Future,” the roughly 20-minute clip consists of 28 picture slides, each drawn by local students from Mikawa Junior High School. It is available in Japanese and English, in hopes that the message will resonate both at home and abroad. 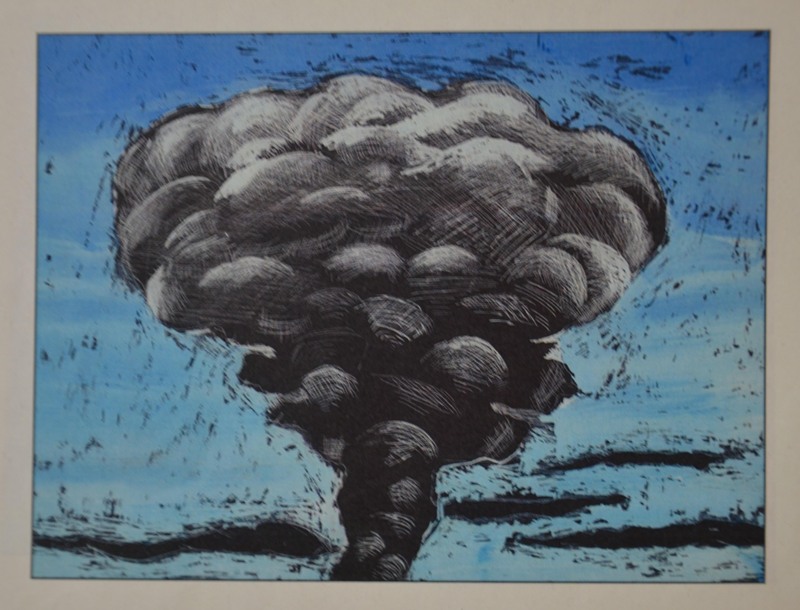 The students took about four months to finish the original kamishibai, which depicts how Tagawa survived the atomic bombing and the mental impact the bombing had on him afterward. This year marks the 73rd anniversary of the atomic bombings of Hiroshima and Nagasaki. 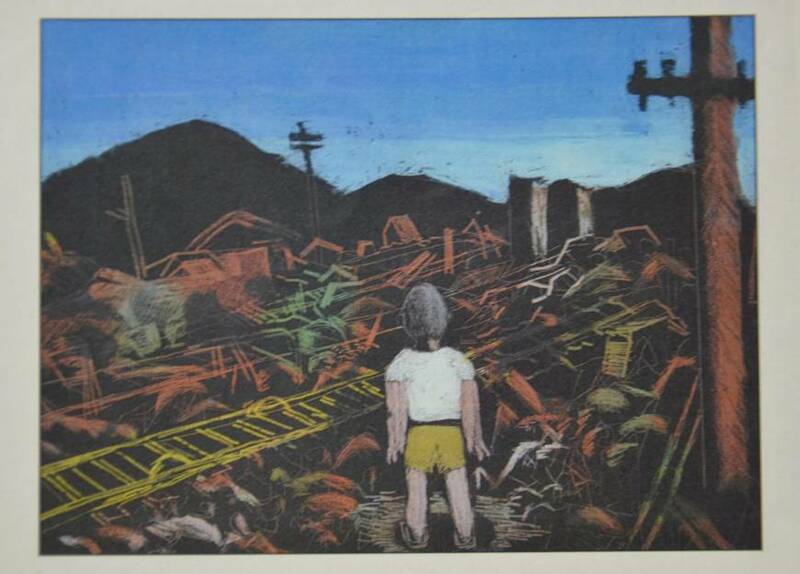 As hibakusha grow old, educating youngsters about the nature of the bombings, which had killed nearly 74,000 in Nagasaki by the end of 1945, and raising global awareness of the effects of nuclear weapons, are taking on greater importance. 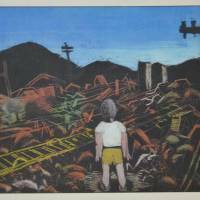 “What is the best way for hibakusha stories to get passed down? This is the most difficult part,” said Ayaka Mine, a Nagasaki city official in charge of the project. “It’s true that some hibakusha prefer photos to expose the truth,” Mine said. “But the pictures drawn by students are soft and not too sophisticated at times, which helps stimulate the imagination.” The students’ artwork has received a warm reception from Tagawa, Mine added. 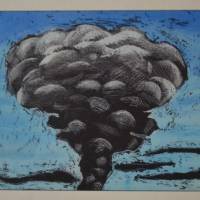 Nagasaki has been trying to deepen understanding of the atomic bombing and called for the abolition of nuclear weapons. The municipal government translates the annual mayor’s peace declaration, given on the anniversary of the bombing, into 10 languages. For visitors, the Nagasaki Atomic Bomb Museum has made leaflets available in French and Russian since last year, in addition to English, Korean and Chinese. Roughly 20 percent of all brochures handed out to visitors last year were in those five languages. Located near the hypocenter, the museum is one of the city’s most popular destinations for visitors and details Nagasaki’s history before and after the bombing. Residents say the city has seen an increase in the number of foreign tourists in recent years, particularly from neighbors such as China, South Korea and Taiwan. Lin Yihsuan, from Taiwan, decided to visit Nagasaki during her recent trip to Kyushu. “It’s now a peaceful place,” Lin, in her late 30s, observed as she visited the area around the hypocenter. She had studied Japanese history and the atomic bombing of Nagasaki while in junior high school, leading her to put a visit to the city on her bucket list. “We need to pass (this knowledge) down because it was an important event (in history),” she said. For Lin, seeing was believing. But with the easily accessible digital kamishibai, an actual visit may not be the only way to gain a deep understanding of Nagasaki’s history.